VohCom Page Solo was designed with the specific needs of single practitioners in mind. 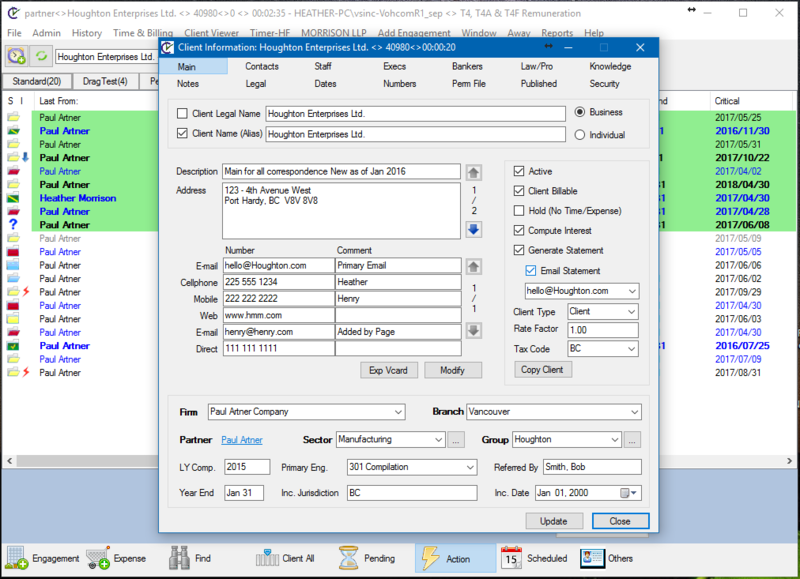 Page Solo organizes files, client information and workflow into an easy to use software which allows you to quickly access any information you need. With everything in a space that’s easy to navigate you’ll be able to take control of your practice while efficiently providing support and advice to clients. Page Solo is available for a one time purchase – no annual license fees apply. Download Page Solo and try for free for 30 days! Download and try page solo for free! Vohcom Page gives you the tools you need to manage your practice, track deadlines and provide the highest level of service to your clients. Its practice management analytics and reporting are powerful, flexible and easy to use; client information is available with a single click; and job progress can be understood at a glance. As the volume of digital files increase, excellent document management is a must. Page organizes all digital files and information associated with an engagement in an intuitive engagement-based structure. Losing files is a thing of the past – digital documents, emails and internal communication are easy to save and quickly available.